One of the most effective steps to prevent package theft is the installation and use of a secured parcel box near your door. 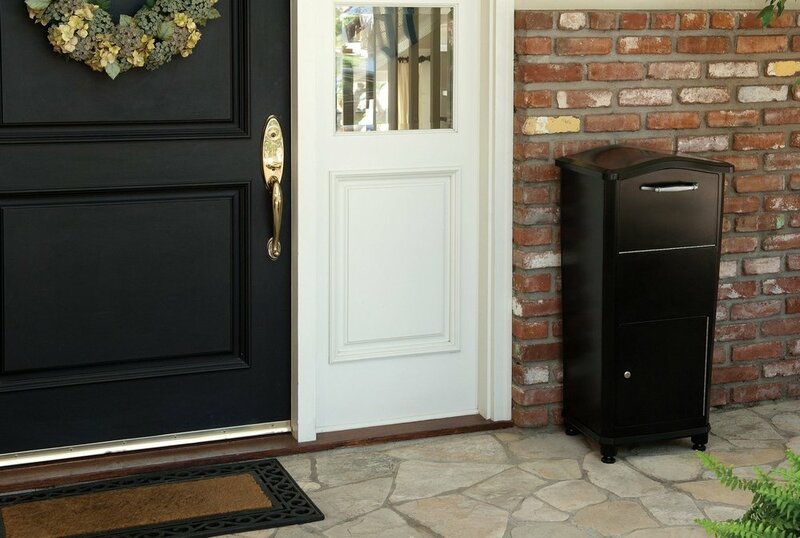 There are a number of steps you can take to prevent someone stealing your packages (here's our guide on steps you can take). One of the most effective steps to prevent package theft is the installation and use of a secured parcel box near your door. Parcel Boxes secure your deliveries better than deterrents like security cameras and alarms, and parcel boxes are also more convenient than delaying deliveries or having them sent to alternative locations for pickup. These lockable boxes tend to be an effective option for those who have space near their doorway. In this review, we have highlighted some of the best parcel box options in 2018. The aesthetically pleasing Elephantrunk wins our Best Curb Appeal recognition. 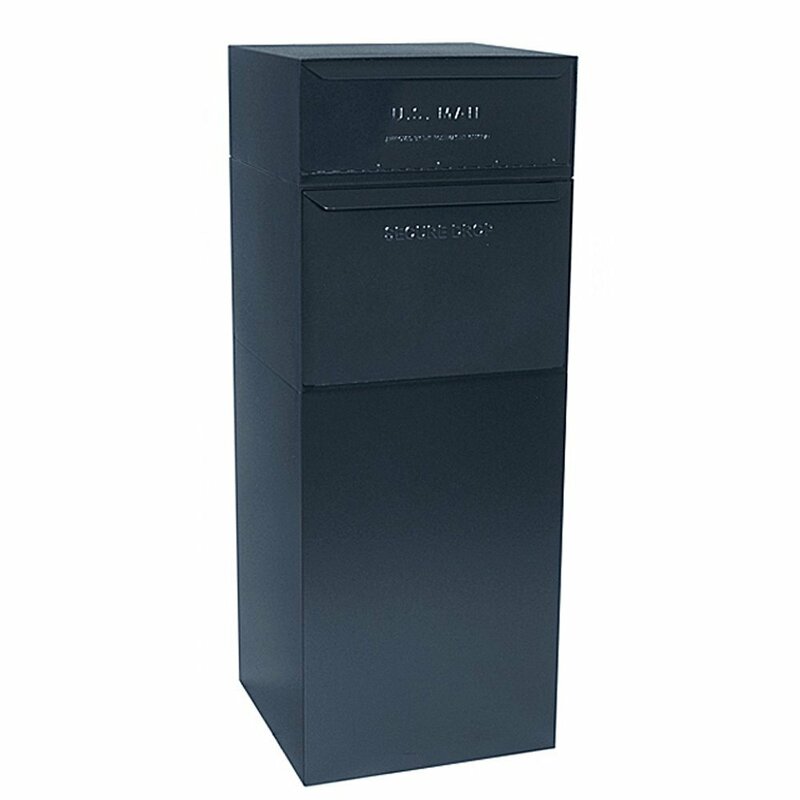 This parcel drop box can be ordered in white, black, or rubbed bronze, or red. Its design has been carefully thought through with features including a built-in "No Deliveries" indicator, the ability to be bolted securely to the ground, and has an outgoing partition for package pick ups by carriers. A sign is also included which can be hung above the box helping carriers see where you would like your deliveries to go. Carriers can deliver your packages through a large rotating drum which will then drop down a shoot to a soft, secure, foam landing area for pickup. It's clear that Architectural Mailboxes really thought this box through, and that's why it's one of our favorite package drop boxes for 2018. The box is secure. Its retrieval door is pry resistant and comes standard with a 3-point lock system with two keys. The box is made with cast aluminum and galvanized steel. This lock box is also weather resistant which means whether it's snowing, raining, or wet outside, your deliveries will remain dry until you pick them up. Landport builds a sturdy and handsome parcel box that' offered in three beautiful colors. Colors include black, creme, dark brown, blue-gray, and red, all in a powder-coating finish. The box can fit approximately 150 liters of space worth of packages at one time and is finished with a good deal of craftsmanship. The Landport logo is embossed on its front and includes an overlapping lid to keep your packages dry. 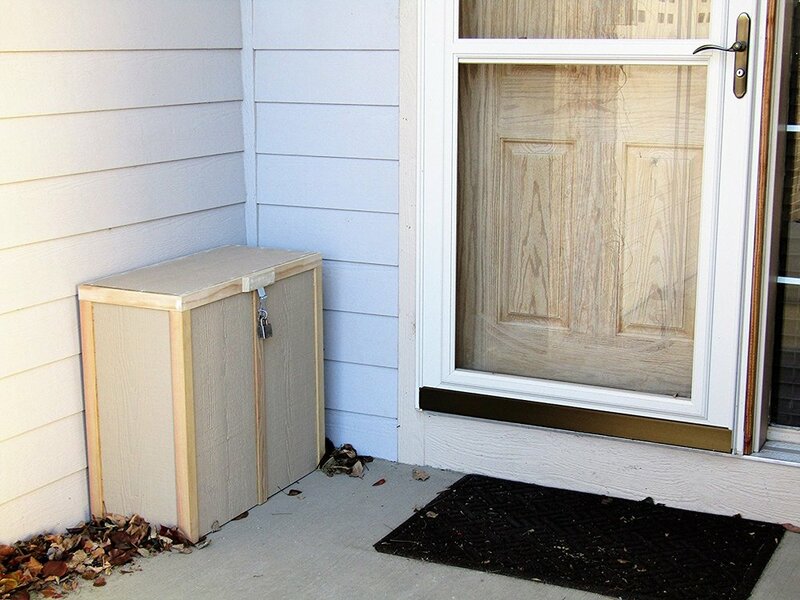 This low-profile box keeps your packages secured while sitting somewhat inconspicuously low on your porch which hopefully conceals your valuables better than taller parcel boxes while definitely securing your packages better than no parcel box at all. It comes with a keypad that allows you to share the unlock code with carrier services by inserting the code into your delivery address line. The container is built with sturdy 16-gauge steel to prevent porch pirates from accessing your packages. And of course, the full Landport Essential Rectangle can be bolted to your porch for additional security. The dVault® Full Service Vault is a tank. It's most often installed curbside and used as an all-purpose mailbox that is also large enough for small and medium-sized packages. 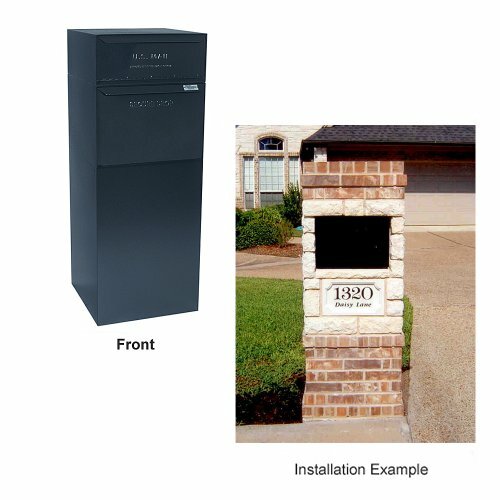 Most homeowners who purchase the dVault® Curbside Mailbox/Package Drop will build a casing of brick, stucco, or other material around it to match it with the siding of their home. The back of the vault has a sturdy lock where packages and letters can be accessed. One potential downside to using a curbside mailbox for parcel delivery is that UPS and FedEx will not put packages in curbside mailboxes. The dVault® Vault is the most expensive package box among our 2018 recommendations and for good reason. To begin with, it doubles as your mailbox and has a delivery and pickup slot for mail at the top along with a nicely-sized 18.7" wide by 12.3" tall parcel/package delivery door. The vault features patented "secure-drop" engineering that blocks access to parcels in the storage area from the secure drop door. Deliveries are accessed using keys on the rear of the box. The Parcel Box is hand-built in Colorado by the family-owned business, PorchBox, LLC. The Parcel Box's rugged, wood structure can be painted and customized to match your home's siding; Of our 2018 selections, this box has the largest volume and holds packages up to 25"x 9.5"x 23". 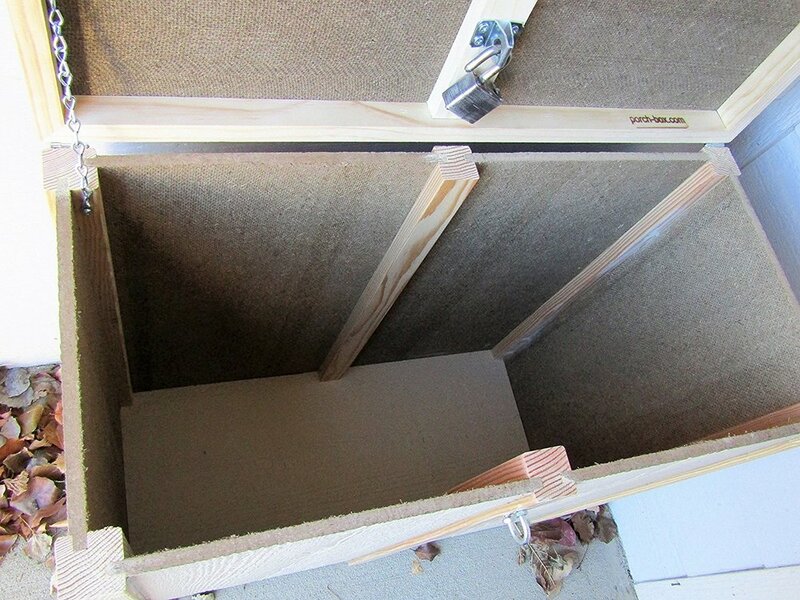 The floor of the box sits 3/4" above ground level to prevent moisture problems below the box. 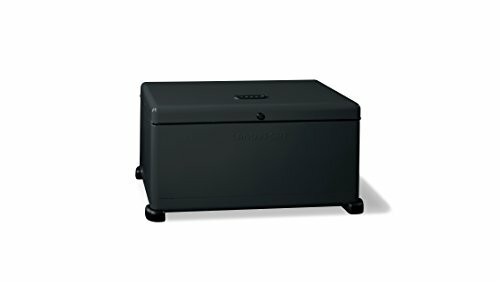 The Parcel Box is also the cheapest option at $218 on Amazon. PorchBox also offers a smaller product that sells for $168 entitled Porch Box. 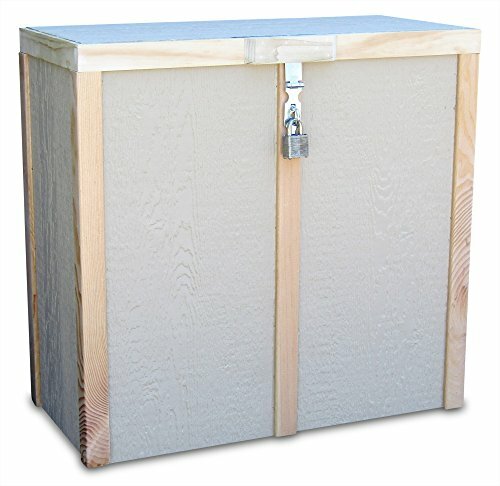 The 35 pound box is delivered fully assembled using a combination of strong fasteners and woodworking joints that helps the box maintain a lot of strength. The lid locks packages inside with the help of any padlock. We think the Parcel Box would pair perfectly with BoxLock which can be pre-ordered here and which will ship in Spring, 2018! 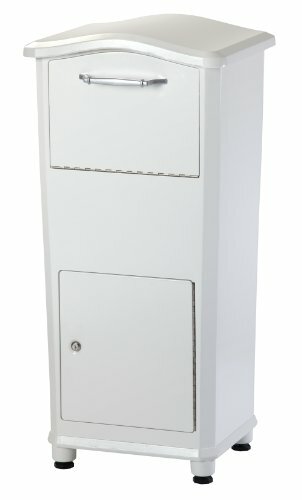 The Ucella is a WiFi connected, secure, and exceptionally smart parcel box. We're calling this box a wildcard for 2018 because it marketing materials for it were originally released in 2015 but the parcel box is still unavailable for purchase. Still, given its unique set of specs, we would be remise to leave uCella off our list. The lock box is designed to be secured to the wall of your home where it is off the ground and out of the way. Delivery men and women can fold the box down to deliver and secure packages for your retrieval. The box can be locked with a passcode you create and can change from the Ucella app. The Ucella is built with composite material that is designed to protect your packages from water, dust, and UV rays. The access code to lock and unlock the foldout container can be updated as needed with the UCella app.